The Coursebook and Beyond is a resource for current and future English language teachers. It has been written both for use by the individual teacher and for use in teacher training courses. The book looks at the central role played by the coursebook in most language courses, at some of the curricular ideas behind a coursebook and at the different ways a coursebook may go about implementing these. For the most part, the focus ofThe Coursebook and Beyond is very practical, a focus on how teachers can deal with a prescribed body of materials. 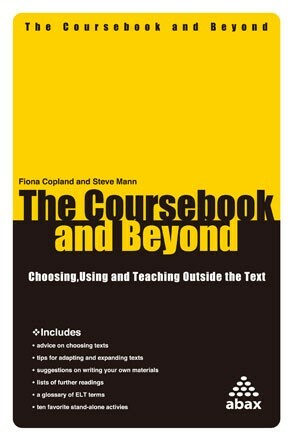 The book presents ideas on how to select (or reject) a coursebook, on different ways to work with the materials within a coursebook, and on how to jump outside the text altogether where this helps to better attain the goals of the course and where the coursebook might need augmentation. The overarching aim of The Coursebook and Beyond is to help teachers see course materials as less a fixed route and more a suggested path for helping students achieve the goals of a course. And that teachers practicing choice in how to use a coursebook with their students—and on when to jump away from it altogether—can greatly improve how any text does its job.